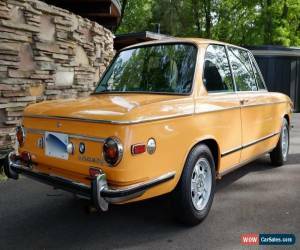 1973 BMW 2002tii in exceptional condition. After enjoying many 2002's throughout the 80's that could be best described as having great character ----- spent the 1990's and early 2000's trying to find the best 2002tii that could find ----- this is the car that eventually discovered.Lack of storage space leading to marital strife neccessitates sale. 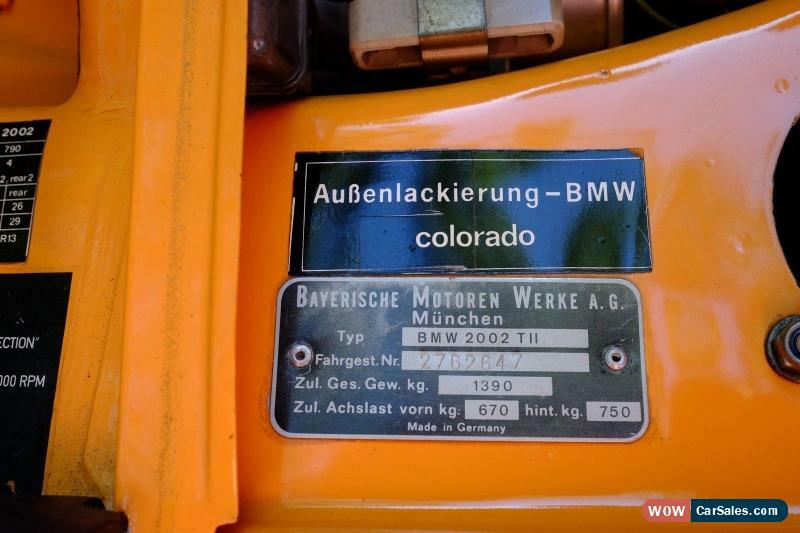 Original Colorado Orange paint. The car spent much of its life in the south western US before moving to the East Coast in the 1990's. The odometer shows 8127 miles. It is NOT accurate. I'm guessing that it has gone around at least once. I purchased the car in January 2008. Garage kept summer driven only (about 500 miles year) since 2008. Mechanically sound. Not perfect --- does need to warm up for minute or so before the idle settles down. The dash is cracked at the base of the guage cluster bump (roughly the middle of the dash). The position of the crack makes it less visible than normally is the case on 2002's. Will be sold with valid Ontario Safety Standards Certificate.Extensive paperwork documenting the car's history back to the 1990's. It's not completely original Recaro front seats with matching vinyl back seat. Nardi steering wheel. Later production factory BMW alloys. Hopefully the photos provided give good overall impression of the vehicle's excellent condition. If any potential buyers require specific photos information, please do not hesitate to contact me.I will do my best to accommodate such requests. Buyer is responsible for any shipping organization of shipping of the vehicle. will help where can on this end. 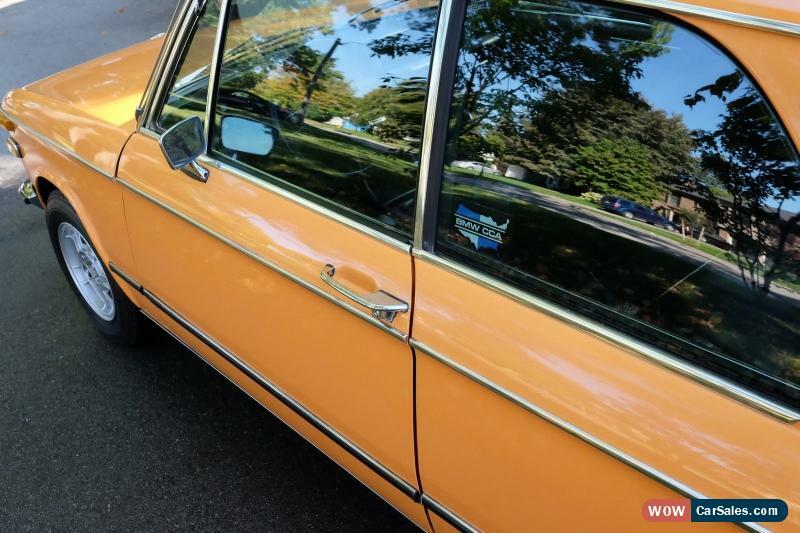 Since the vehicle is originally from the USA (and the fact that it is 43 years old), itshould be fairly straightforward process to import it back into the States if required. Thanks for looking.